It's Foodie Friday! Here's Lauren again with one of my favourite recipes! Did you miss the past couple Foodie Fridays? Awesome Pumpkin Bread and Italian Sausage and White Bean Soup! Sharing these recipes on Laura's blog has been really fun and a pretty accurate representation of me in real life. If you know me, then you probably know that my two favourite topics of discussion are babies and good food. Also, because I share once a week, you generally get a little taste (ha! see what I did there?) of one of the main things I've made and eaten with my family that week. Since I started a round of Whole30 this past Monday, I'm thinking these next few weeks of recipes will be Whole30 compliant. So regardless of whether you're a Whole30 veteran or just wondering what I'm talking about at all, I hope you'll really enjoy these recipes! This first one, Shepherds Pie, is a major favourite. I make it more than once every time I do a Whole30 and quite often when I'm not. The base is loaded with veggies and fresh herbs and the potato topping is made with sweet potatoes and coconut milk, giving it a smooth, rich flavour. 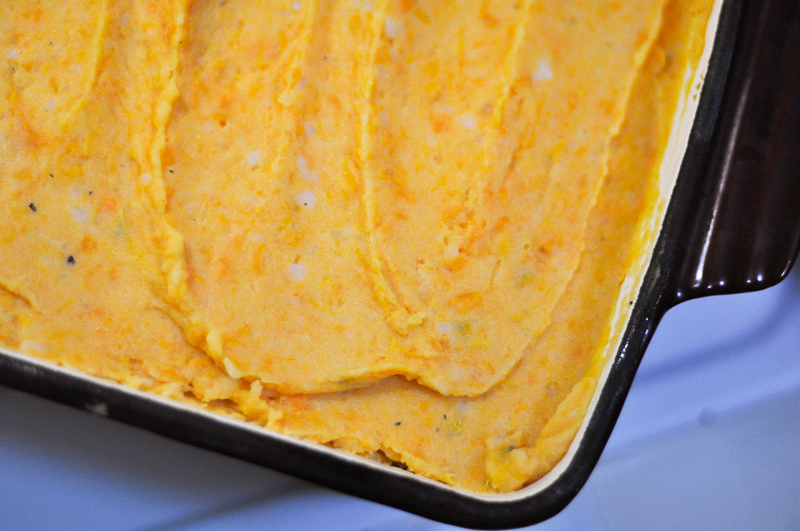 I eat this Shepherds Pie for any and all meals of the day. It is hearty, forgiving, and warming to the very soul. 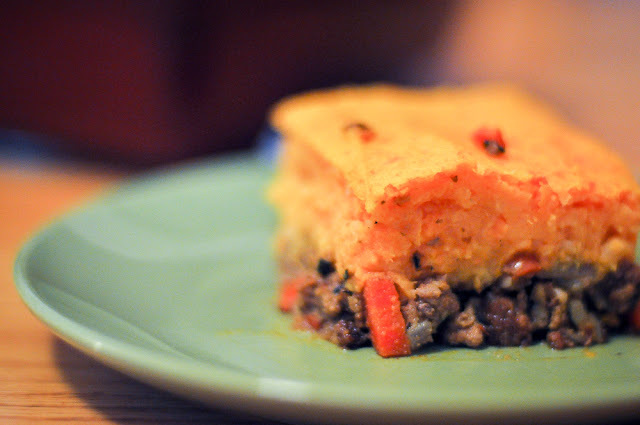 I just can't say enough good stuff about this Shepherds Pie! I also know that Laura is a big fan of it, so it comes with two big thumbs up. Enjoy, my friends! For sweet potato topping, mash slightly cooled sweet potatoes and blend in coconut milk, ghee and salt and pepper to taste. 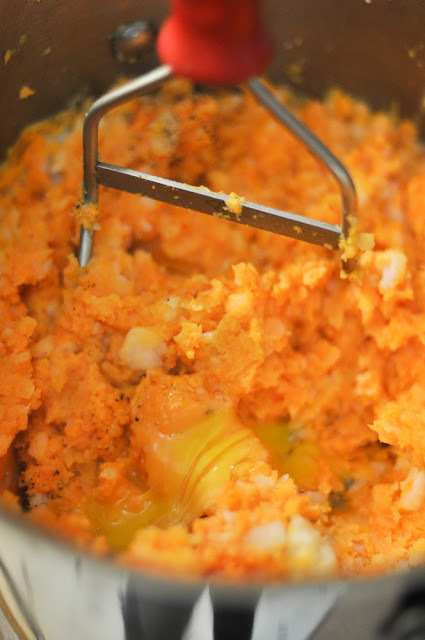 Blend in egg yolk. Set aside. 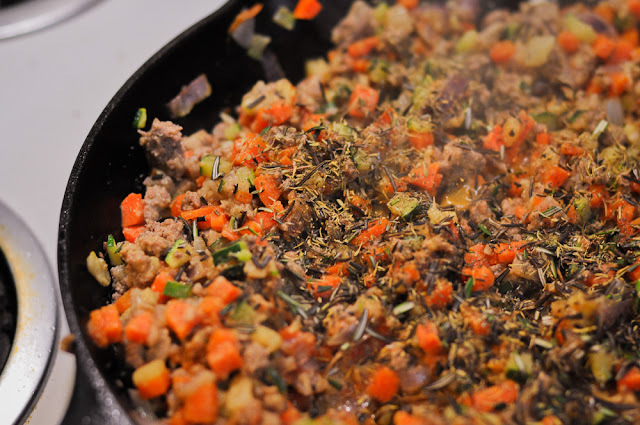 While potatoes are cooking, prepare meat filling. In a large non-stick pan, heat avocado oil over medium high heat. Add onions and carrots and saute for 3-4 minutes. Add garlic and zucchini. 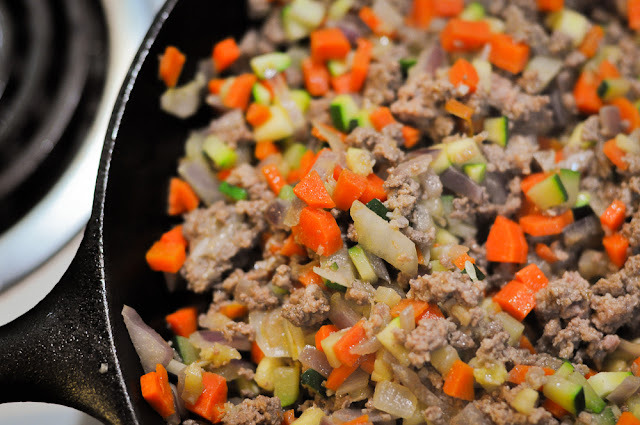 Add ground beef and cook until browned and cooked through. 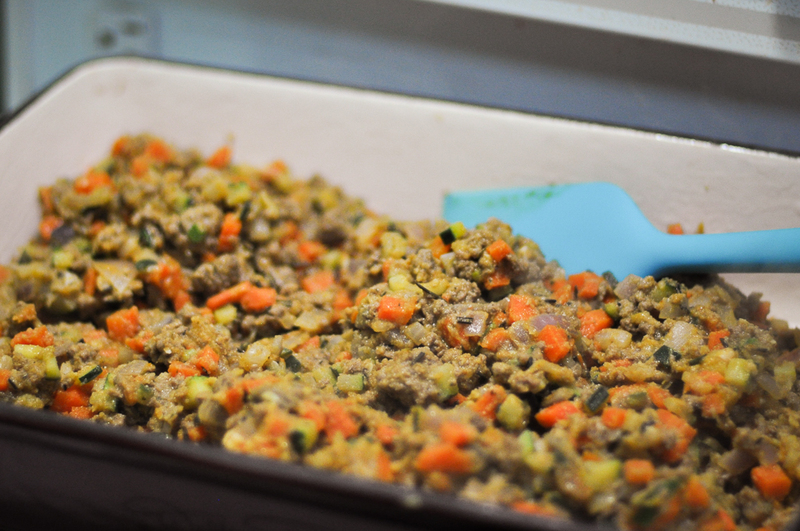 Sprinkle coconut flour over the meat filling and toss to combine. Cook for one minute. Add tomato paste, chicken broth, coconut aminos and herbs and stir to combine. Bring to a boil and then simmer until thickened, about 10 minutes. Lightly grease an 11 x 7 inch baking dish. Spread meat filling evenly in the bottom. 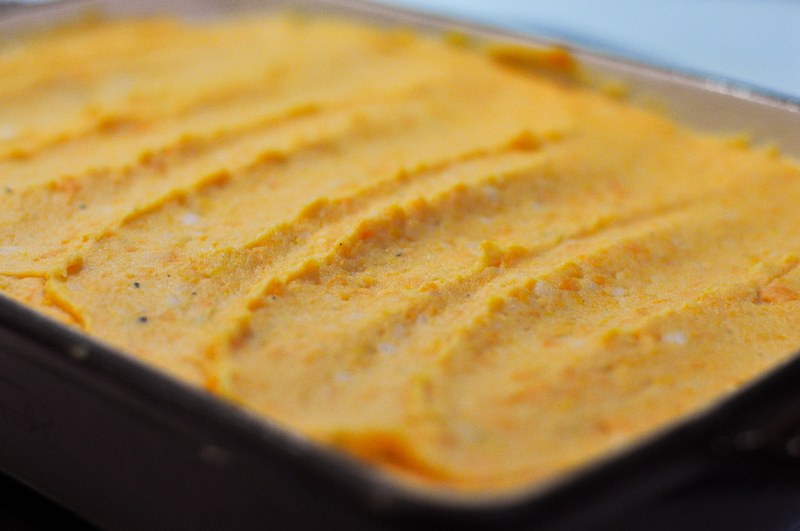 Use a rubber spatula to top with sweet potato topping. Bake for about 25 minutes or until potatoes begin to brown. Cool for 10-15 minutes before serving. I love this recipe. I am going to make it tomorrow - can't wait!